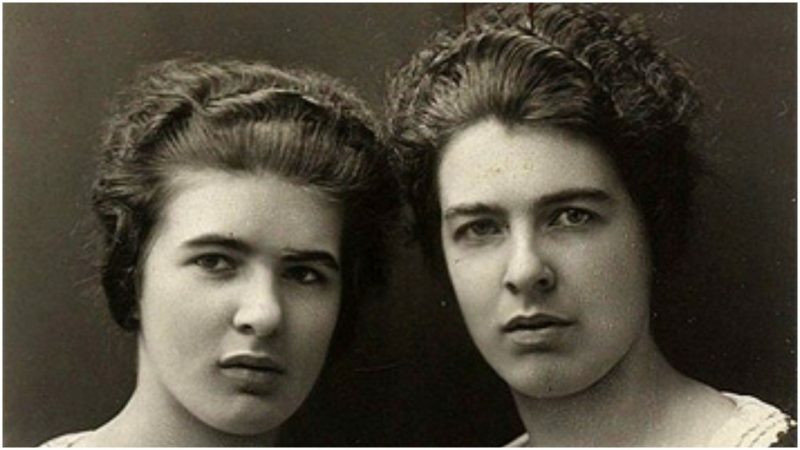 Two sisters, by the names of Christine and Léa Papin, carried out a gruesome murder on the eve of February 2, 1933. On that cold winter day, the siblings killed a mother and daughter. The victims were unrecognizable: defaced, with their eyes ripped from the sockets, their bodies horrifically mutilated. The victims belonged to an affluent family from Le Mans in France, the same family that had hired Christine and Léa as full-time housemaids. Christine and Léa Papin were raised in the countryside around the city of Le Mans — the city famous for hosting one of the world’s earliest-known sports car races. 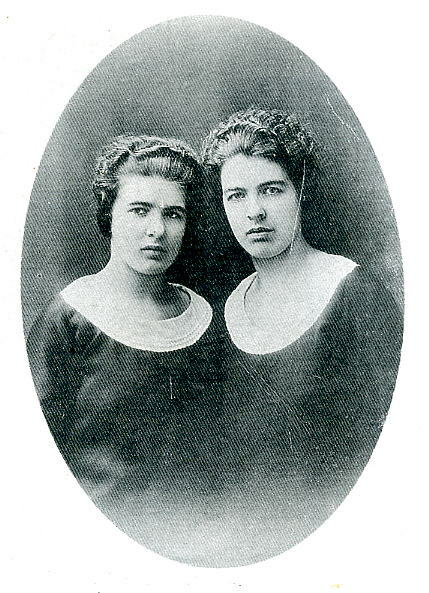 Christine and Léa were born in 1905 and 1911 respectively. They also had an older sister, Emilia, who had consigned herself to a nunnery after years of alleged sexual abuse by their alcoholic father. That is only one of a series of volatile episodes which haunted Christine and Léa in their broken family home. As soon as they were old enough, the two siblings sought for a place where they could work together as housemaids. They were employed in 1926 by Monsieur René Lancelin, a retiree who lived in Le Mans along with his spouse, Madame Léonie Lancelin, and one of their two daughters, Geneviève Lancelin. The Lancelins owned a nice house and the sisters were supposedly well provided with food, decent accommodation and reasonable payment for those years. The sisters were praised for their hard work and dedication to keep the Lancelin residence all in order. However, Christine and Léa Papin displayed some odd behavior: they tended to be quiet and reclusive, focused only on one another. It was alleged later on that they were sexually involved with each other. 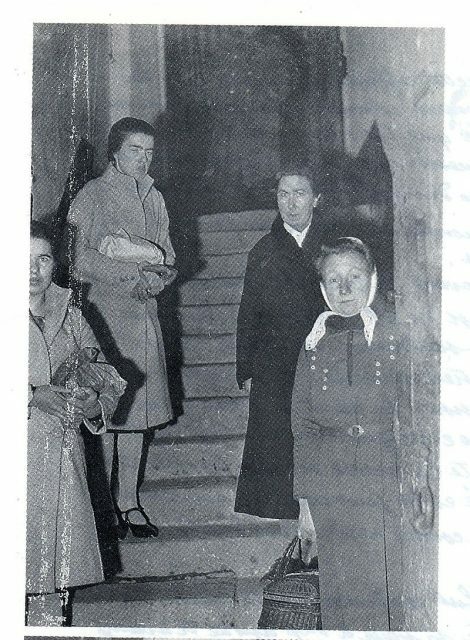 The sisters rarely spoke a word to René during their seven-year-long tenancy at 6 Rue Bruyère. It was usually Léonie, who was obsessed with the place being kept perfectly clean, that gave the assignments. On that wet winter day in February 1933, Léonie and Geneviève arrived home at around 5:30 pm to find the house in darkness. It transpired that an iron had tripped the fusebox; the same iron that had just come back from the repair shop for a similar incident while Christine was ironing. But the repairman couldn’t find anything wrong with the appliance and the costs for it fell on Christine and Léa. 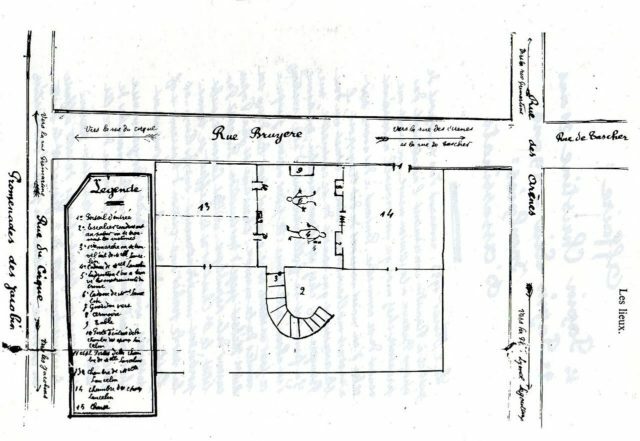 Diagram of scene of crime, 6 Rue Bruyère. A nasty fight ensued which resulted in the unimaginable. The incident with the iron had apparently disturbed Madame Léonie quite a lot, one of the Papin sisters later testified. The mistress became exceptionally angry, and the situation escalated until Christine hit her on the head with a heavy pitcher. Geneviève stepped in to try and protect her mother by hitting Christine…who responded by attacking Geneviève’s eyes. The elder sister then instructed the younger one to tear Léonie’s eyes out. Surprisingly, Léa did exactly as her sister wished, removing the Madame’s eyes with her bare hands. In the meantime, Christine ran to fetch various tools from the kitchen, including a hammer and a kitchen knife.. The frenzied servants continued to mutilate the bodies of their employers for an estimated 30 minutes. Even when the bodies of Léonie and Geneviève laid lifeless on the floor, the siblings continued to beat and butcher the women. There was blood and gore all over the place. When the ghoulish act was done, the Papin sisters cleaned themselves, but they did not run away from the house as everyone might expect. In fact, they locked and barred all the doors, and retreated at their quarters in the attic. Hours later, René Lancelin broke into his own home accompanied by the police. To his horror, he found his wife and daughter in a pool of blood. The sisters were safe and sound and naked together in their bedroom. They would instantly confess to the inexplicable double murder, showing no remorse. 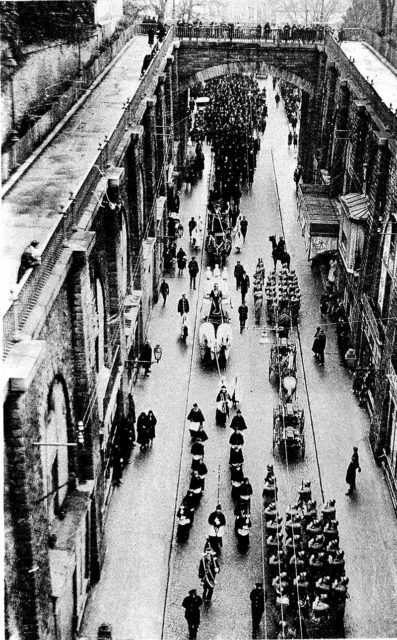 Funeral for the Papin sisters’ victims. At the court hearing, the sisters failed to provide any coherent explanation as to why they had committed such a cold-blooded act of butchery. Multiple times they were checked by medical experts, but at first, no signs of any mental illness were traced. Eventually, as the case progressed, experts ruled that the siblings had succumbed to a condition known as Folie à deux (“Madness of Two”), which is a shared psychosis. Such a condition presents as a variety of symptoms like paranoia, hearing voices, inventing fictitious threats that somehow require self-defense, and even unusual sexual behavior. 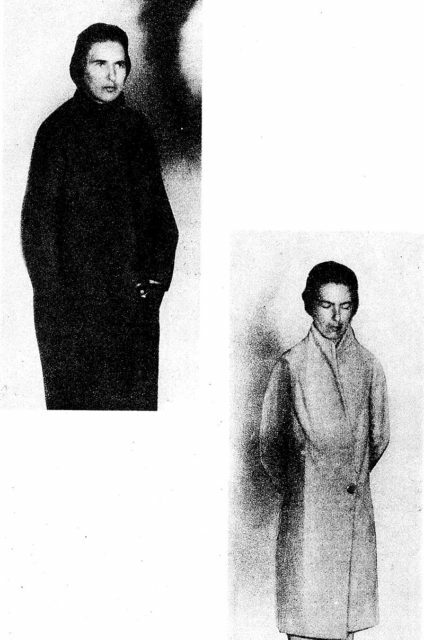 The sisters during their 1933 trial. The anger expressed by Madame Lancelin was probably enough to trigger the darker side of the psychosis. It also turned out that Christine dominated the relationship, and that Léa’s personality was controlled by her sister. Christine was initially given a death penalty, but this was reduced to life imprisonment. 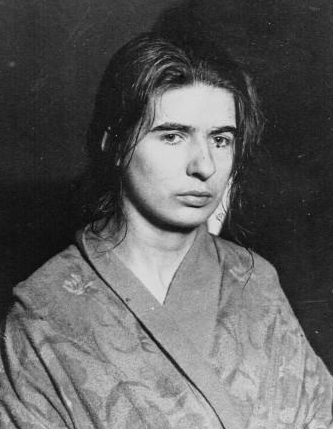 Léa Papin received a hard labor sentence of ten years as a companion to the crime. Christine’s mental state deteriorated rapidly after the trial. While imprisoned, she ended up in a straitjacket to stop her from self-harming. 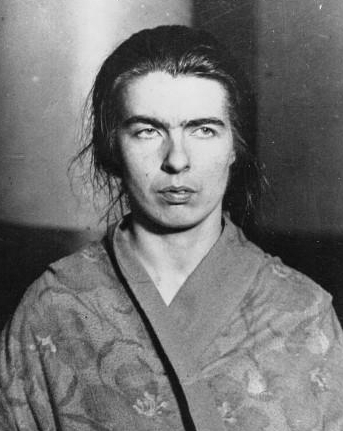 Separated from her sister, she experienced scary and horrible hallucinations, refused to eat, and eventually died in an asylum four years later, in the spring of 1937. Léa Papin was released after serving eight out of the ten years. She retreated into oblivion, adopting a new identity and reaching longevity, passing away in the summer of 2001. The Papin Affair was never forgotten. In fact, it has been equally analysed by writers, painters, film directors, and philosophers. 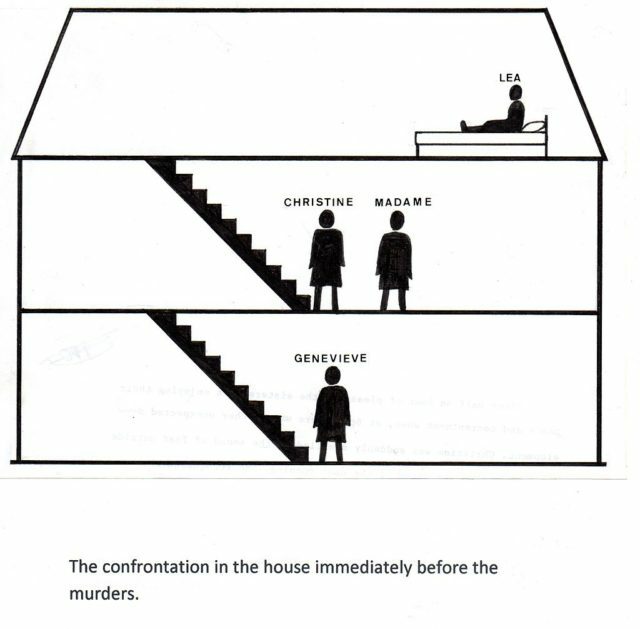 Jean Genet’s play from 1947, titled The Maids was among the early instances where the Papin case influenced a work of literature. Simone de Beauvoir and Jean-Paul Sartre suggested that the Papin Affair was a case of class struggle. That their crime mirrored a system in which figures such as servants lived in terrible conditions as opposed to their high-class employers, who enjoyed plenty of everything. The case further helped psychoanalyst Jacques Lacan to develop his theses and theories on the human mind. 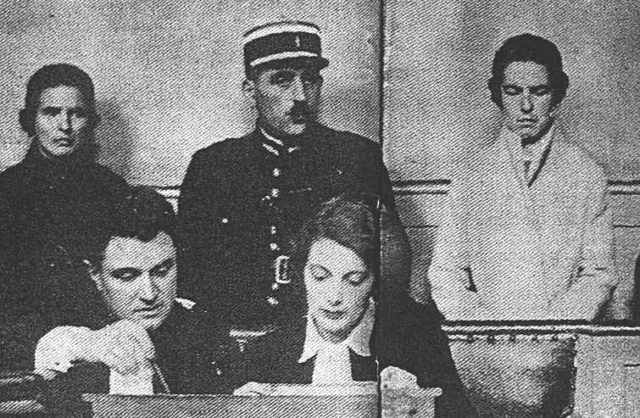 Through books, paintings, theater plays, and films, the Papin Affair, indeed, will never be forgotten as one of the most gruesome homicides in 20th-century France. Stefan A. is a freelance writer and a regular contributor to The Vintage News. He is a graduate in Literature. He also runs the blog This City Knows.